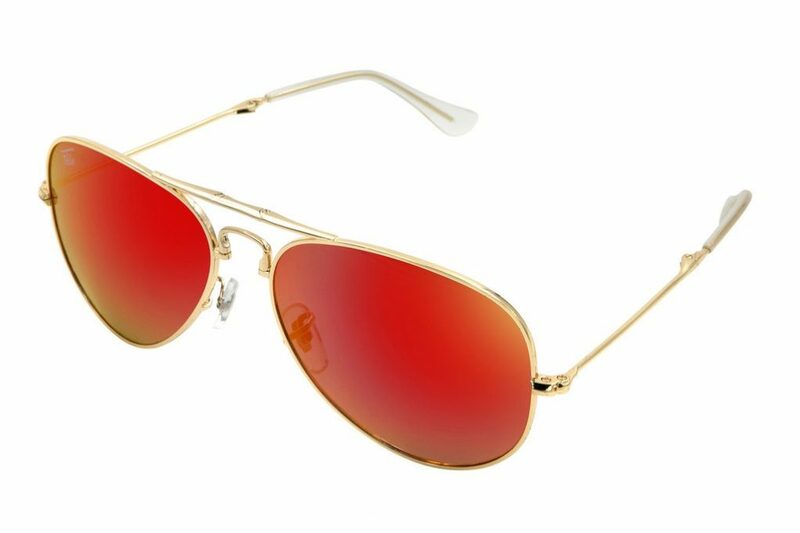 Gold and fire red folding aviators feature a gold frame with fire red lens. 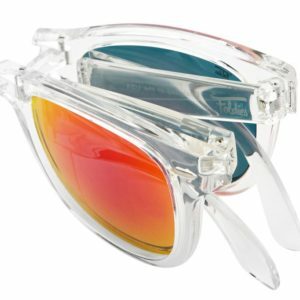 These sunglasses fold for easy carrying convenience. 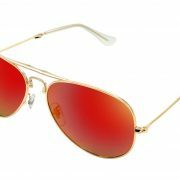 Lens: Polarized mirror UV 400. 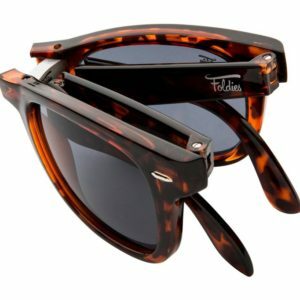 Comes with a custom microfiber cleaning cloth and travel case. 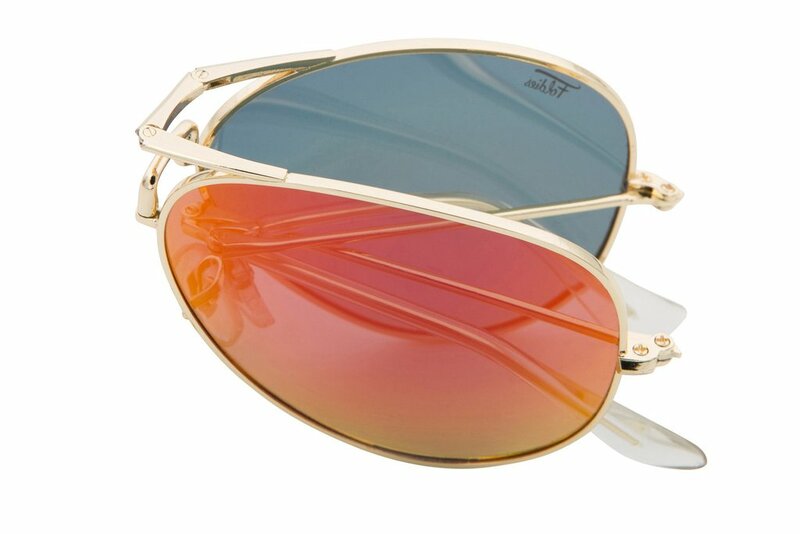 Foldies gold and fire red folding aviators feature a gold frame with fire red lens. 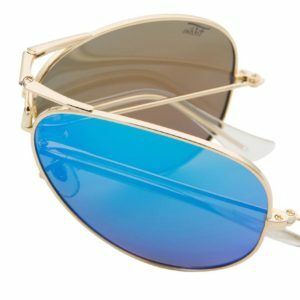 These sunglasses fold for easy carrying convenience.